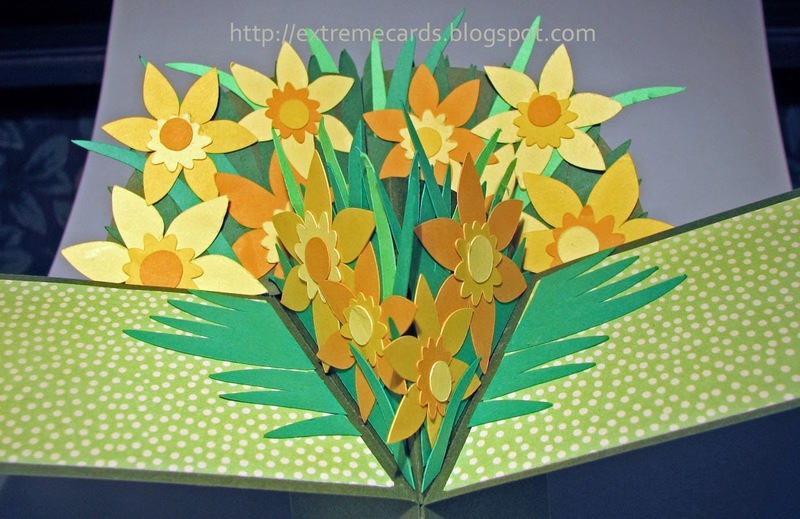 Here is a lovely spring pop up card for Easter or Mother's Day. 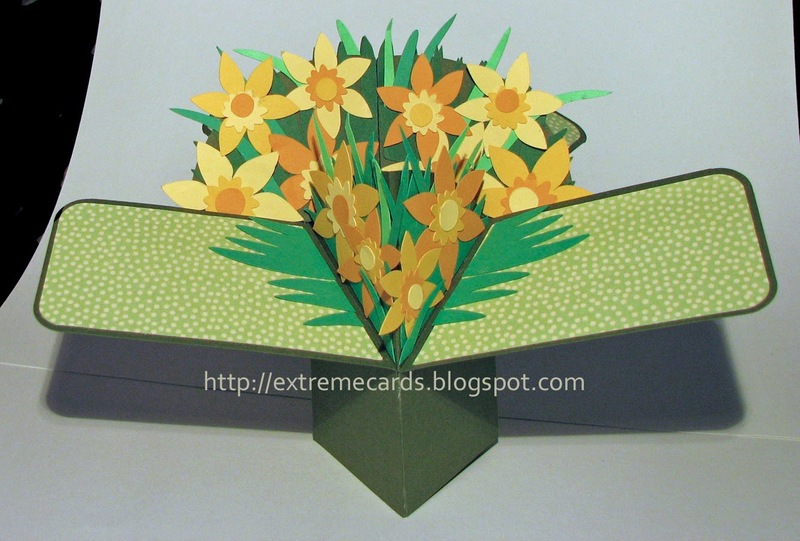 This is an easier and more versatile version of the flower diagonal box previously posted. 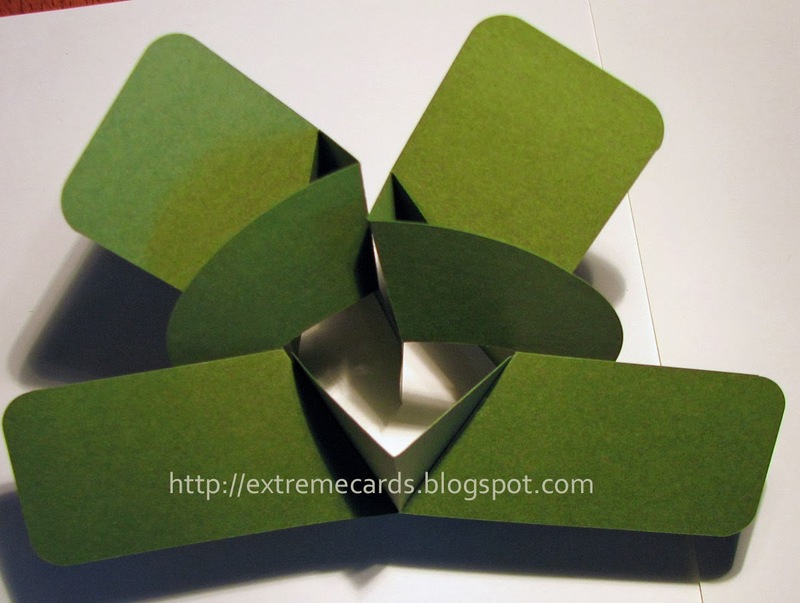 The basic form has two curved surfaces for you to add whatever decoration you choose. 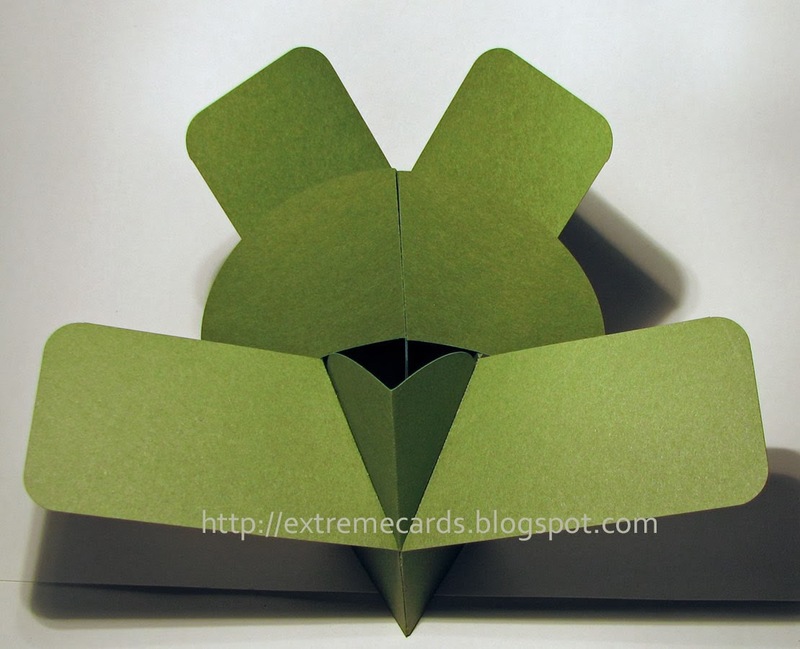 Adhere left and right box pieces at center front. 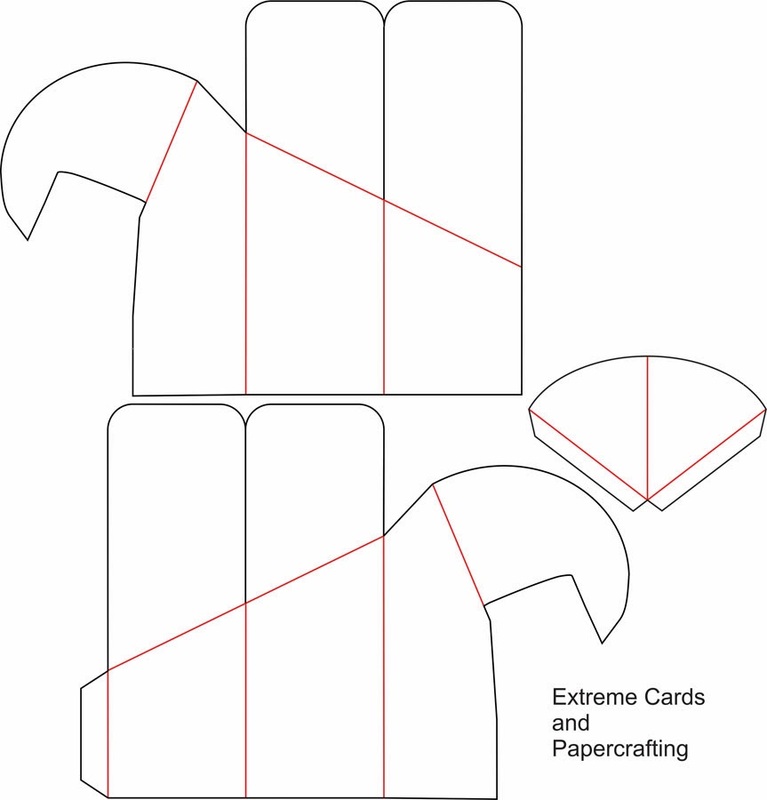 Adhere center front V-folded crescent: Match center front points and side folds to card center front point and folds. 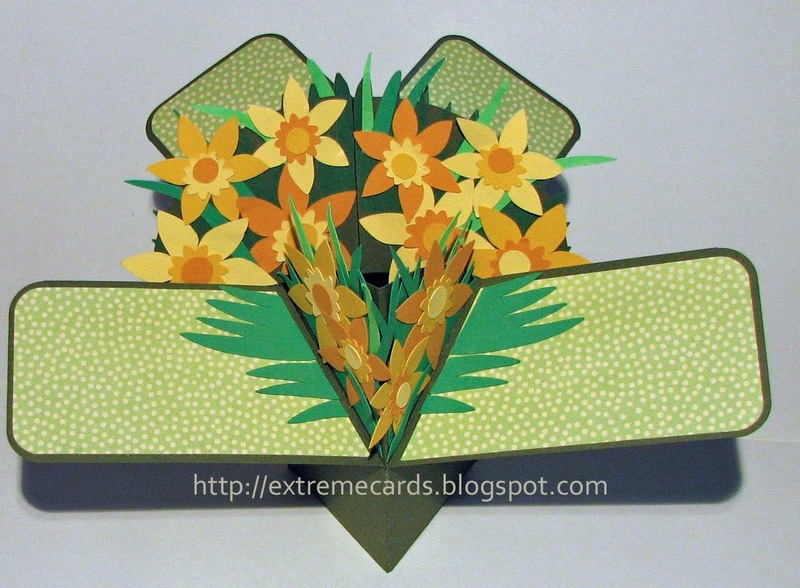 Apply adhesive to the tabs on the V-fold and adhere them to the inside of the card front. 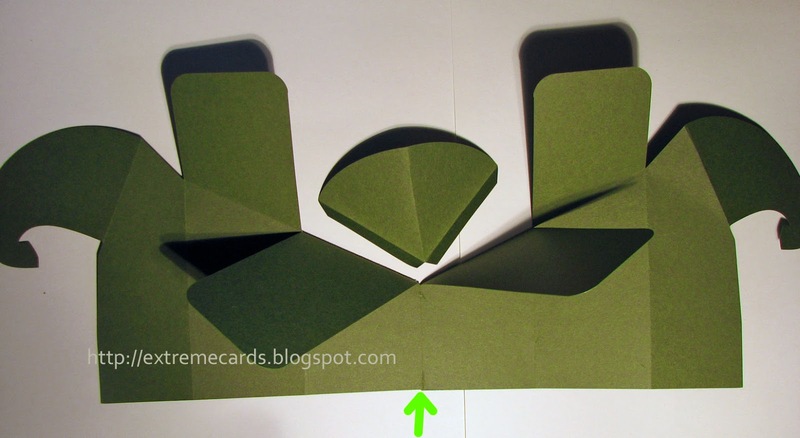 You may wish to adhere this front piece with the card opened out (top photo), or folded in half (bottom photo). Do a dry run with the pieces and see what feels more comfortable for you. 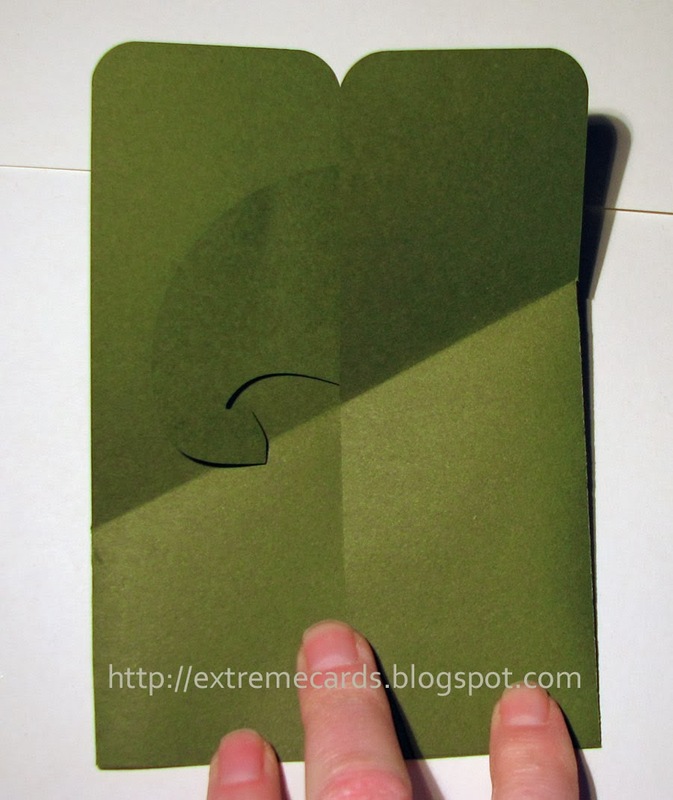 With the card semi-open, creased at the center front, curl the hooked pieces into the center back. 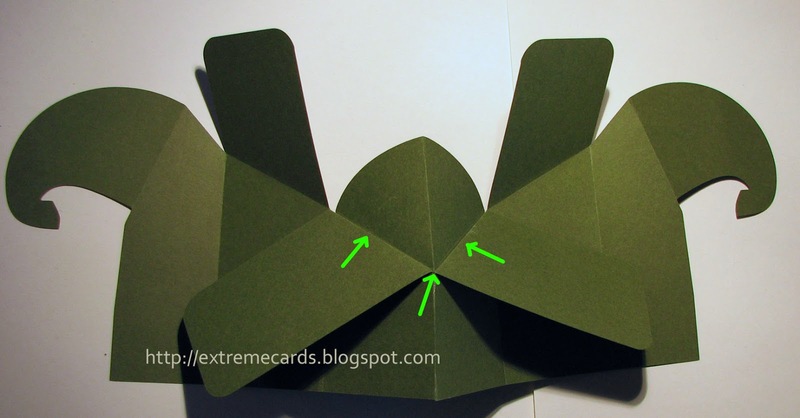 Insert the hooked pieces between the front and back flaps, at the side corners of the box. 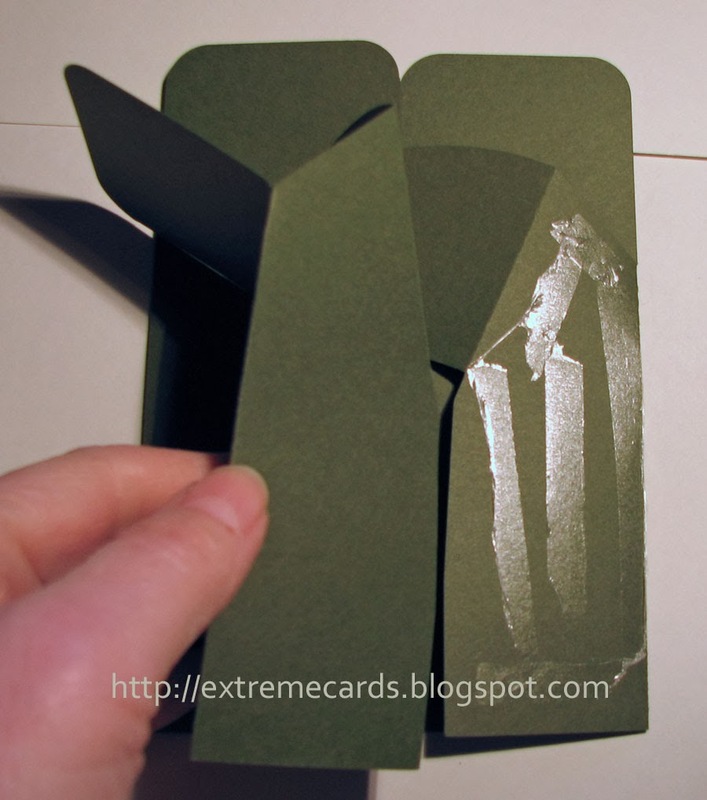 Open out one back panel and adhere the inside panels where they touch. Do not adhere the two hooked crescents together! Decorate as desired. 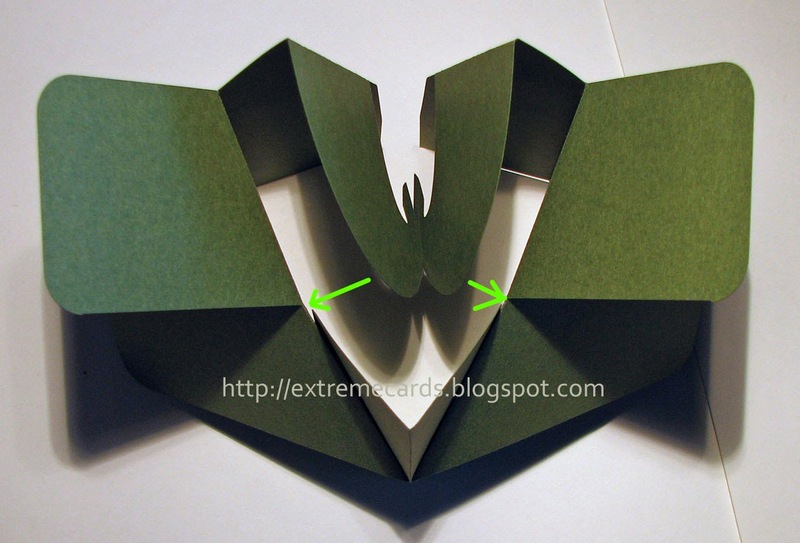 Do not glue anything across the center fold of either crescent or the card will not open and close properly. 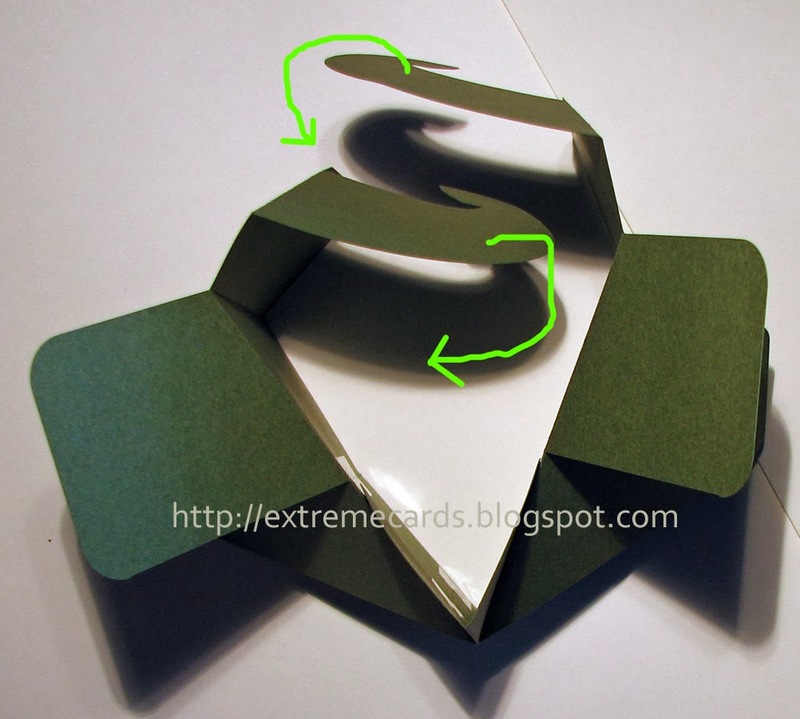 You can extend items a little bit forward on the front fold of the front crescent because of the direction it folds. 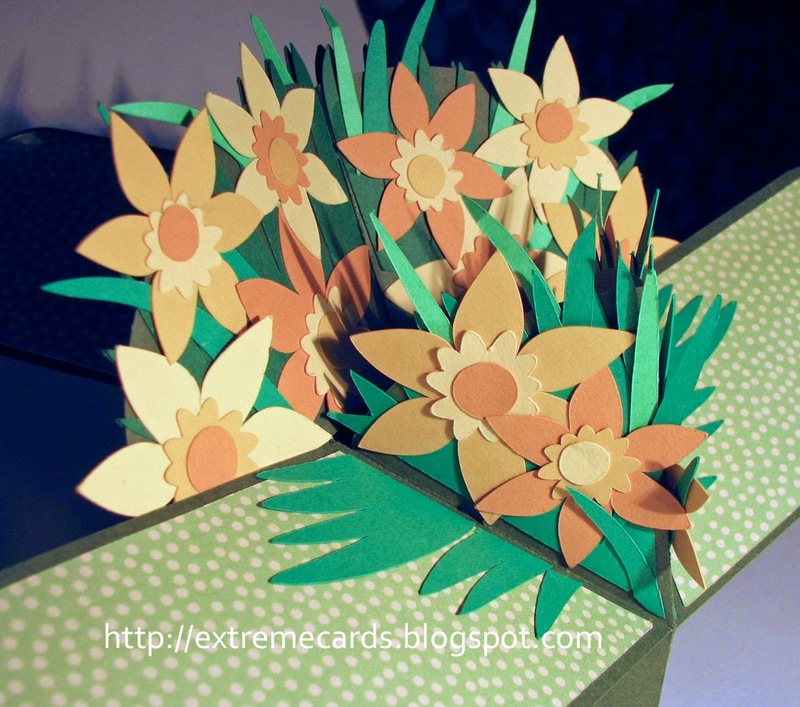 See how my orange flower petals stick forward a little? That works. 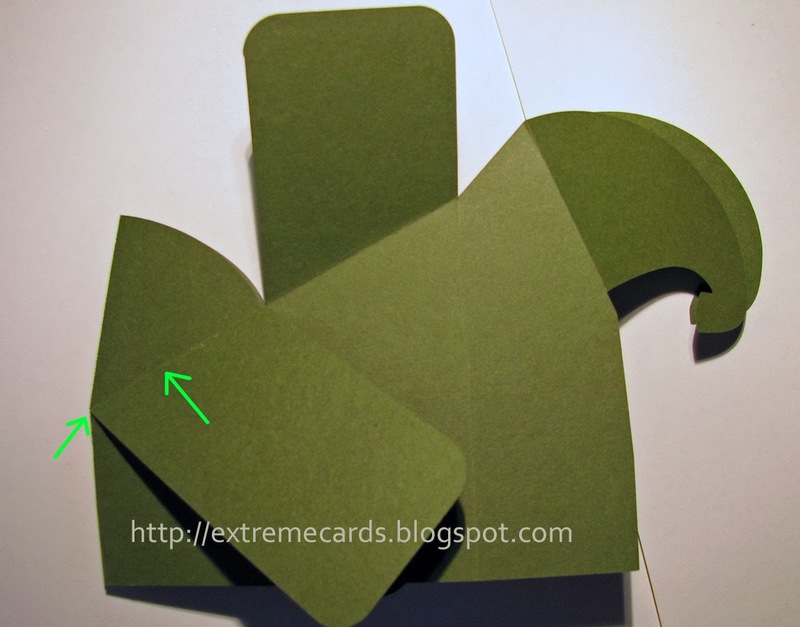 Keep everything clear of the fold on the back crescent, however.